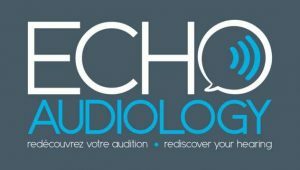 Echo Audiology is just one of the amazing vendors taking part in the 12th Annual Ottawa Health and Wellness Expo. Be sure to say hi to the Echo Audiology team on Saturday, January 27th, 2018 at the Shenkman Arts Centre. Buy your tickets now! We are a locally owned and operated bilingual audiology clinic, and are happy to help with any ear, hearing, hearing aid and hearing health related concerns people may have. We work with advanced technological tools, which allow us to provide our patients with great ongoing clinical service. We also aim to provide our patients with the most appropriate recommendations for their hearing health. Our team consists of Karine Bossé, Audiologist, and Jessica Fallak, Office Manager. proach, her ability to simplify and relay information and for her understanding towards her patients. She is also known for her easy-going personality and for her ability to easily crack a smile. Born and raised in Eastern Ontario, Jessica graduated from the University of Ottawa in 2002 with a Bachelor’s Degree with Minors in Psychology and Criminology. Throughout her professional career, she discovered a joy for helping people, which lead her to develop an extensive set of skills geared towards customer service. Having worked for over 20 years with the public in both French and English, including within the Audiology industry, Jessica’s experience brings significant benefits not only to her colleagues, but most importantly to her patients. In the last 4 years, Jessica has mainly been serving the Orléans area, and is happy to continue to be a stable part of its community. Proud mother of two daughters, Jessica is best known for her patience, her willingness to go the extra mile, her vibrant personality and for her compassion. How does Echo Audiology help people achieve a greater level of health or wellness? Hearing health is a topic that is not often discussed. Because hearing loss often occurs gradually, it is harder to identify as a problem. On average, it takes 7 years for someone to seek help for their hearing loss. Recent research shows that untreated hearing loss can lead to negative feelings such as social isolation, irritability, stress, frustration, embarrassment, loneliness and a decrease in cognitive abilities. When we treat people with hearing loss, we not only treat their hearing difficulties, but also their overall well-being! In fact, research also shows that in just 3 months of wearing hearing aids, 90% of people show improvement in their physical health, cognitive health, self esteem, social lives, communications, relationships, as well as show more independence. Hearing is an important part of our overall health – it is therefore important not to ignore it! Who Does Echo Audiology Enjoy Working with the Most? Firstly, we love working with the community, getting to know people and lending a helping hand. Secondly, it is often thought that there isn’t much that can be done for hearing related difficulties, including ringing in the ears. This simply isn’t true. We take pride in being able to offer solutions to our patients, which provide them with not only healthier hearing, but also a healthier lifestyle! It really is a great moment for them, and a joy for us to witness! Owners, Robert and Carey Assaf, are brothers that evolved their family business, Kardish, into the Ottawa Valley’s largest health food retailer. Robert and Carey are continuously involved in the Ottawa community and have made it their goal to provide the region with the best quality health food products. With over nine locations across Ottawa, Kardish Health Food Centre conveniently supplies solutions for a healthier lifestyle. Kardish’s knowledgeable and passionate staff will assist you with extensive information regarding the amazing products found within the stores. Specialty health and bulk foods, gluten-free products, and natural health supplements are a few examples of Kardish’s products that will propel your journey down a healthy path. Additionally, Kardish enjoys rewarding their customers by providing a membership program that rewards you for every dollar you spend. 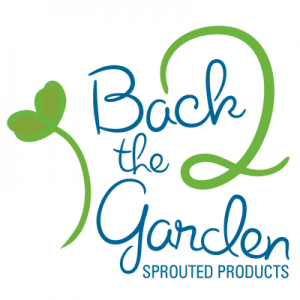 Be sure to stop by their booth at the expo for tasty samples and more information on all the products available to you. 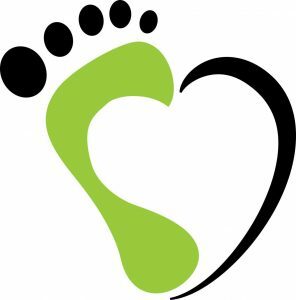 Laura, the owner of Healthy Feet First, recognizes that foot care is becoming more important with the elderly and ageing population, as well as diabetics and others in need. Laura has always wanted to help people which led her down the path of nursing. She has a love for learning and continues to educate herself on ways to improve client care and she passes on that knowledge to others. In an effort to meet the needs of her clients she offers both in-home and clinical care services. An initial assessment is completed giving Laura a good idea of what the client needs are. Foot care is provided, based on client need. Suggestions for specific foot care, especially helping diabetic patients to recognize signs and symptoms of infections, ulcers and Charcot’s Foot. Ongoing evaluations help Laura continue to assess client foot care needs, but also can help in preventing further problems. Ultimately the goal of Happy Feet First is to help patients maintain overall health and to keep people mobile. Everyone! Massage Therapy benefits all people, if it is for rehabilitation of an injury, prevention, stress relief or detoxification it is part of all wellness lifestyle that we at Core Elements can accommodate to adjust each treatment to be specific for each individuals needs. We have an amazing team of therapists, both male and female, that are professionally trained and members of the CMTO who’s main objective is to provide the best care possible to all of our clients. What makes our clinic stand out is our therapists and that we give focused and therapeutic massage treatment. Each massage includes a body full assessment, pre-massage, so all massage treatments are geared specifically for each clients needs. Special care and attention to what you mare asking for to give you the best results in rehabilitation. Our therapists are trained in both relaxation and therapeutic massage and many have additional training in specific modalities providing our clients with a broad range of options for different conditions. 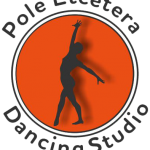 We are also open 7 days a week with evening appointments Monday – Friday. Our online booking system makes it easy for clients to book their appointments at their convenience 24/7. For RCMP and VA members- To eliminate delays of receiving treatment we offer direct billing for RCMP and VA.
Our focus at the clinic is to provide the highest professional massage therapy experience with our warm, spacious and modern setting. We also offer the utmost professional and friendly atmosphere friendly which completes each clients experience in comfort and with hands they can trust. 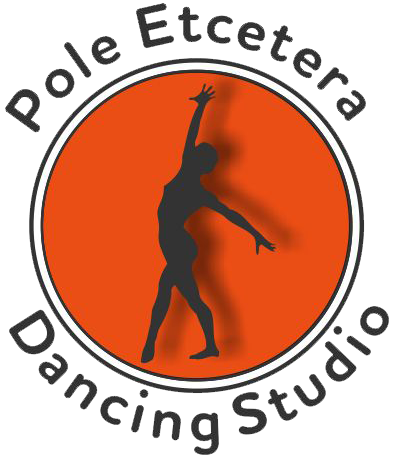 We have just had our one year anniversary January 2nd, 2015! We are a group of therapists that have know each other and have worked together for years prior with over 60 years experience combined! We opened Core Elements with the goal to bring our experience and skills together and offer Orleans the best in therapeutic care for Massage Therapy in the area. 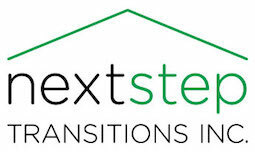 Next Step Transitions specializes in bath safety and stair solutions, providing free health in-home consultations and direct installation of items such as grab bars and tub cut-aways, to stair lifts and ramp systems. Our services benefit anyone facing small to significant mobility challenges in their homes. We have also helped many families who live out of town, but have wanted to support their aging parents to safely stay in their home. Our clients have the added confidence that our Health Care Professionals will work together with families to find solutions, and make ethical recommendations based on the highest standards and best practices in health care. Adapting your home may seem like a simple decision, but this can be a difficult time for many. Our clients benefit from the added support of our trustworthy and compassionate nurses, who work seamlessly with our local and caring installation professionals. Our clients have been genuinely thrilled that we have been able to help them maintain their independence and freedom by making a few small adaptations to their homes. Helping people to enjoy every inch of the home they love and have worked so hard for is as rewarding to us, as it is to our clients. We’ve also received wonderful feedback about our Registered Health Care Professionals working directly with our installation experts. With no “middle man”, our clients have been able to help design and receive a barrier-free home by working with one accountable and conscientious company. The heartwarming (and kitten-covered) Thank-You card that we received from our very first clients is still posted on our fridge at home. Every day, we have a great reminder of where we started and that the work we do can truly make a difference in someone living a healthy and safe life in their own home. Michelle McAvoy, owner of Lovebugs Sleep Coaching, specializes in paediatric sleep coaching for families who are expecting a baby, who have welcomed a young baby, or who have a young child at home who is still not sleeping well. It is never too early to teach positive sleep habits and healthy sleep hygiene to your children! Sleep deprivation takes a physical toll on parents and children alike. Michelle believes that a well-rested family leads to a more productive, happier and most of all healthier family! My clients often hire me feeling as if they are at the end of their rope, exhausted and frustrated that nothing that they’ve tried already has led to an improvement in their child’s sleep habits. They don’t know where to turn, and they feel as if they will never sleep again! They are desperate to help their child sleep and to get some sleep themselves! When they hire me, I almost always hear my clients tell me “I wish I’d hired you sooner!” and they are astonished that within two weeks we can see such a tremendous improvement in their child’s sleep. I am certified as a Sleep Sense Consultant by Dana Obleman herself! Dana is the creator and author of The Sleep Sense Method; A Proven Method for teaching Children to Sleep through the Night. Sleep Sense works because it addresses all the reasons that children do not sleep through the night and does not suggest you just leave your baby to cry-it-out! I meet one-on-one with clients to develop a strategy that works for your family, your parenting philosophies and specific needs of your child so that you are all well rested and most important healthy! You don’t have to accept long-term sleep deprivation when you choose to be a parent and I can have your family sleeping 10-12 uninterrupted hours per night! Any age benefits from Reflexology. OH!!! Wow!!! How!!! I feel sooooo good! They come for their tired sore feet and realize their body is receiving so much more. Their headaches improve, their back and shoulders improve, their stress is reduced, they feel more relaxed and calm. Colds and flu are less frequent. To learn more about Reflexology and its benefits, visit us at our booth at the Wellness Expo and experience first hand or foot what we are passion about. Our products and services benefit people of all ages. We help seniors, diabetics, people with feet issues (ie. warts, calluses, fungal nails, plantar fascistis) as well as skin tag, and spider vein removal. Our ET nurse deals with clients who have Ostomy and Colostomy needs. Clients rave about our ability to change their lives by helping them with ongoing issues. Our nurses are friendly, kind, caring, and very well informed. Clients are very happy with the fact that our nurses are mobile and are able to come to them. Especially if they are not mobile. Most people are not aware that our nurses go above and beyond regular safety and sanitization standards. Not only are all of our tools put through the Ultrasonic Cleaner, they are also put through the autoclave to ensure cleanliness. Most people are not aware that all veterans who have a K number and a service plan are entitled to FREE footcare paid for by the DVA. This is a service we are proud to say we provide.